Smart banks know that the future generation of growth depends on a very specific group of consumers - Millennials. But while Millennials may have little interest in personal banking today, as this audience grows and matures, so will their financial needs. For example, 90 percent of Millennials expect to be impacted by a major financial event within the next 36 months - such as taking on a student loan, or buying a home or car. Only 8 percent believe they have the high levels of financial literacy needed to deal with these life events. As Millennials experience increased levels of financial complexity, they will need somewhere to turn, giving banks an opportunity to shine - or get left behind, as new competitors enter the space in droves. Can Banks Overcome Negative Millennial Attitudes To Drive Growth? It’s not surprising that Millennials have shown skepticism toward the banks. In addition to coming of age during the 2008 financial crisis, Millennials have long been ignored by traditional bank marketing and product strategies. As of 2017, 34% of financial marketing teams allocated over 50% of their media budgets to traditional media, and as recently as 2018, bank marketers ranked “attracting a younger audience” ninth on their priorities list. 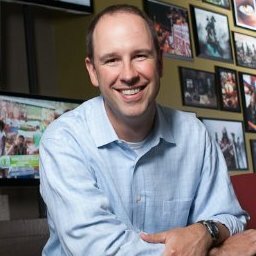 Because banks fail to cater to the Millennial audience with personalized, differentiated messaging (and refuse to engage through their preferred channels) it’s no wonder that brand loyalty is low - with 53 percent of Millennials believing their bank doesn’t offer anything different than other banks. In spite of the current state of affairs, there is opportunity for banks who are willing to invest in products, services, and marketing channels to charm and engage their Millennial audiences. Here are some tips for success. Millennials and Gen Z customers expect things to be fast, easy and self-service oriented. They want to be able to do things when and where they want to do it. This means investments in mobile. Today, according to Salesforce’s 2017 Connected Banking Customer Report, “Nearly one-third of Millennials with a checking or savings account stated that they leverage their bank’s mobile app for most routine transactions such as deposits and transfers, compared to just 17 percent of Gen-Xers and six percent of Baby Boomers.” Millennials are accessing their financial information via mobile device eight and a half times more often than other generations; a trend that is only expected to grow with time. In addition to embracing mobile solutions, banks must keep an eye out on the competitive landscape, as disruptors are emerging by the day. In order to compete, banks must launch more sophisticated personalization strategies that enable more targeted marketing and personalized experiences, which means investments in AI and data science. Additionally, banks must take a more social approach to product development, that focuses on easy access to money, fluid exchange, and convenient payments. Millennials are less worried about risk, less afraid of technology, and more focused on convenience than any other generation. It’s no wonder this audience is the most likely to embrace expense-sharing - with FICO reporting that 52 percent of people aged 18–34 are already using or considering non-traditional payment company like Venmo, versus 27 percent of people aged 50 years or older. There’s no denying Millennials love experiences. The success of the engineered-for-Instagram Candy Museum is a testament to that. Millennials want to make memories in everything they do - even if it’s just a trip to the bank. In order to make banking fun, banks must gamify the experience, and offer Millennial-appropriate rewards - like hard-to-get concert tickets - to customers that open a new account. When it comes to creating an experience, and an environment where Millennials will spend time and money, banks aren’t just competing with other banks - they are competing with retailers like Sephora and Apple too. So the branch experience must be memorable, personal, and strong enough to get people off the couch, and into the branch. 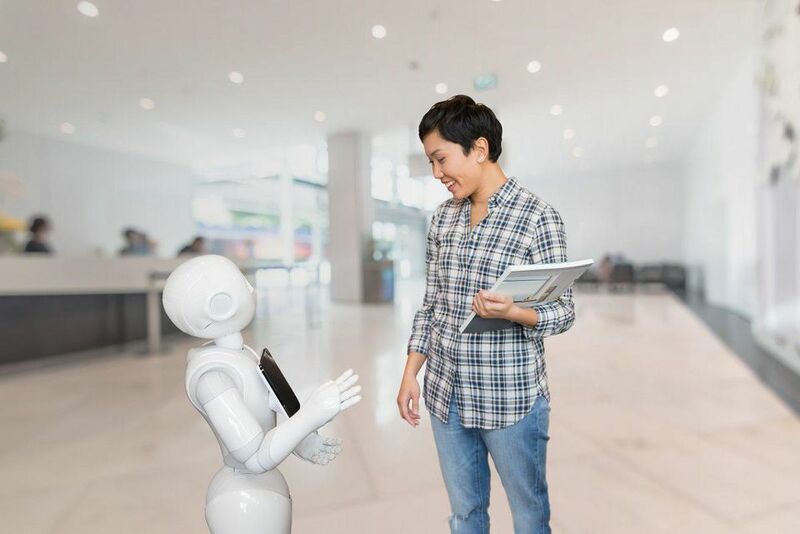 This is one reason banks like HSBC are investing in customer engagement solutions like Pepper, the humanoid robot that offers visitors a charming, charismatic, and fast alternative to waiting in line for a teller. Pepper can help customers address basic needs, without having to wait for staff support, and can free up staff to focus on better customer experiences. Not only has Pepper helped HSBC improve employee morale, but within the first five months of adopting Pepper, HSBC saw YoY growth of 44 percent. While banks must invest in mobile, personalization, and other customer-friendly technologies to be at parity with the emerging tech players, in order to really differentiate banks need to double-down on their strengths. Banks have always been a place where consumers can go to make big life decisions - about managing a portfolio, taking out a loan, and becoming more financially secure. But many Millennials don’t see banks that way. If banks want to be seen as the place that Millennials can come to build financial stability and security, banks must find more effective ways to promote personalized products and services, and the branch interactive, educational, and engaging. By doing this, banks will have more opportunities to build relationships with Millennials, and do what they do best - provide financial advice. While there are a lot of roadblocks for banks in the race to win Millennials, there is also a lot of opportunity. Because Millennials have been under served by big banks, they haven’t committed their loyalties to one bank or another. This gives banks that focus their attention on Millennials to build high value, long term relationships with them, ensuring a future of mutual success.